Dubiously “sophisticated” limited edition ’18 Grand Cru stays slick, bordering on cloy as its overripe peach syruping gains 12% ABV medicinal acridity. Ancillary prune-stewed apricot, fig and raisin illusions deepen alcohol-soaked pureed peach overtones. Strictly for Peach Madiera fans. Top-grade soda-beer combo reveals juicy grapefruit permanence that gains sweet orange peel drift and crisply carbolic 7Up-like lemon lime sugaring. Zesty morning sunshine. Tart strawberry rhubarb pie likeness picks up abrupt sour lemon effervescence and mild oaken cherry acidity over dry barnyard acridity. Tertiary raspberry, peach, mango and guava nuances enlighten sour strawberry scrum. On tap at Ambulance, “luscious” English-styled winter ale receives barrel-aged Stranahan’s Colorado whiskey adjunct to sedate original Hibernation’s orange, cherry and peach fruiting as well as soured fig-date smidge. Rising out of the rum-spiced whiskey interior are brown chocolate, sugared coffee, toasted coconut, vanilla bean, molasses and marshmallow illusions. 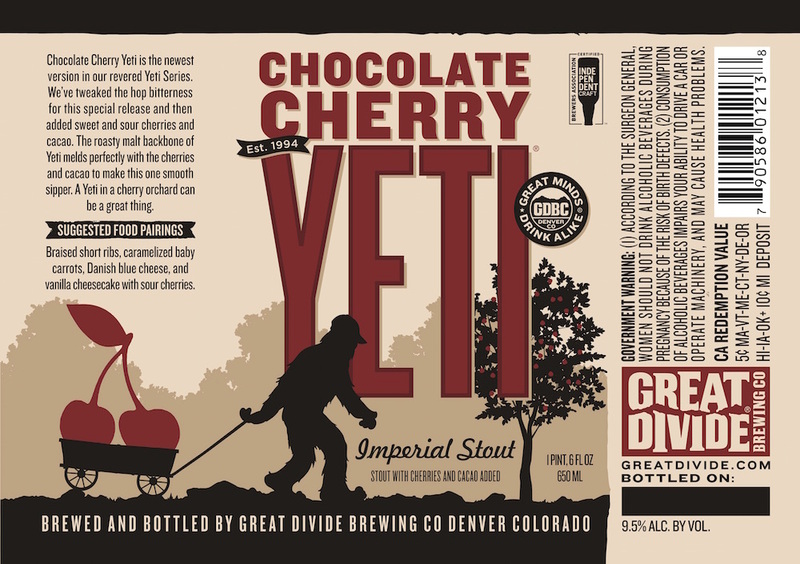 Tremendous oak-aged Yeti hybrid (circa January 2016) brings dry dark-roasted coffee bean richness and dark chocolate bittering to intense espresso prominence. Mighty espresso density picks up earthen wood hop char, oaken vanilla sedation and tobacco chaw pungency linger bitterly behind mighty mocha ensemble. Another fascinating Yeti! This time it’s a soothing Imperial Stout with ‘small’ raisin adjunct providing dried fruited complement to profound dark-roasted mocha malt influence and rolled oats sugaring. Gooey dark chocolate center enriches Nescafe instant coffee, powdered cocoa and cacao nibs illusions.